Russell has worked with British Airways in the UK and has held a number of academic positions in universities within Australia and elsewhere. He was a Senior Lecturer at Monash University before becoming an Associate Professor at the Graduate School of Management at Macquarie University. He was the foundation Director of the Australian Centre for Industrial Relations Research and Training (an ARC Key Centre) at the University of Sydney. He was Professor of industrial relations at the University of Sydney from 1987-2009 and was appointed Professor Emeritus in 2009. He holds a PhD from the London School of Economics and has been awarded honorary doctorates by Macquarie University in Australia and Lulea University of Technology in Sweden. He was awarded a Senior Fulbright Fellowship at Harvard University and the Sloan School of Management at MIT, has been a Visiting Research Fellow at the Swedish Centre for Worklife Research in Stockholm and was a Visiting Fellow at the International Institute for Labour Studies at the International Labour Organisation in Geneva. He has also been a Shaw Foundation Professor at Nanyang Technological University in Singapore. He has received fellowships from the French, German, Danish, Finnish and Swedish governments in recent decades. He was made a General Member of the Order of Australia (AM) in 2009 and an Officer of the Order of Australia (AO) in the General Division in 2018. Russell was joint editor of the Journal of Industrial Relations from 1999-2009, and serves on the editorial boards of leading academic journals in North America, Europe and Asia. His major research contributions have been in the areas of international and comparative employment and industrial relations. His current research includes studies of the effects of management strategies of multinational enterprises on employment relations and labour practices. Recent publications include International and Comparative Employment Relations (Sage, 2010, with G.J. Bamber and N. Wailes), After Lean Production: Evolving Employment Relations in the World Auto Industry (Cornell University Press, 1997, with T.A. Kochan and J.P. MacDuffie), Changing Employment Relations in Australia (Oxford University Press, 1997), and The Global Korean Motor Industry: The Hyundai Motor Company's Global Strategy (Routledge, 2006, with C.S. Suh and S.H. Kwon). He has served on numerous government, industry and professional bodies. He has been a consultant to the International Labour Organisation (ILO), the Organisation for Economic Cooperation and Development (OECD) and the United Nations Development Program (UNDP). He was President of the International Industrial Relations Association (IIRA) which is based at the ILO in Geneva, from 2006-2009. Clibborn S, Lansbury R, and Wright C (2018) Who Killed the Australian Automotive Industry: The Employers, Government or Trade Unions? The New Frontiers of the world automotive industry: technologies, applications, innovations and markets; Palgrave Macmillan, Basingstoke, United Kingdom. Andersen S, Kaine S, and Lansbury R (2017) Decentralised bargaining in Denmark and Australia: Voluntarism versus legal regulation Australian Bulletin of Labour, 43 (1), 45-70. Lansbury R, Wright C, and Clibborn S (2017) Who will make our cars? Global lessons from the demise of Australia's auto industry Perspectives on Work, 21, 12-17. Bamber G, Lansbury R, Wailes N, and Wright C (2016) International and Comparative Employment Relations: National Regulation, Global Changes; Sage Publications, London. Hancock K, and Lansbury R (2016) Industrial Relations Reform: Looking to the Future: Essays in honour of Joe Isaac AO; The Federation Press, Sydney, Australia. Lansbury R, Suh C, and Kwon S (2016) A Estrategia Global Da Hyundai: A Evolucao da Industria Coreana de Automoveis (Hyundai's Global Strategy: The Evolution of the Korean Auto Industry); Bookman Press, Porto Alegre, Brazil. Andersen S, Kaine S, and Lansbury R (2016) Different Pathways to the Decentralisation of Industrial Relations: Denmark and Australia Compared Den danske model set udefra: Komparative perspektiver pa dansk arbejdsmarkedsregulering (The Danish model seen from the outside: Comparative perspectives on the Danish labor market regulation); Dj�f Publishing, Copenhagen, 127-146. Hancock K, and Lansbury R (2016) Introduction to Industrial Relations Reform: Looking to the Future Industrial Relations Reform: Looking to the Future: Essays in honour of Joe Isaac AO; The Federation Press, Sydney, Australia, 1-15. Hancock K, Lansbury R, and Wright C (2016) Tribute to Joe Isaac AO Industrial Relations Reform: Looking to the Future: Essays in honour of Joe Isaac AO; The Federation Press, Sydney, Australia, xiii-xxix. Lansbury R (2016) Renewing Swedish Leadership in Work and Employment Relations Research Pa jakt efter framtidens arbete: utmaningar i arbetets organisering och forskning (On the hunt for work of the future: Challenges for the organizing of work and for research); Tankesmedjan Tiden, Stockholm, 30-41. Wailes N, Wright C, Bamber G, and Lansbury R (2016) Introduction: An internationally comparative approach to employment relations International and Comparative Employment Relations: National Regulation, Global Changes; Sage Publications, London, 1-19. Wright C, and Lansbury R (2016) Employment Relations in Australia International and Comparative Employment Relations: National Regulation, Global Changes; Sage Publications, London, 103-125. Wright C, Wailes N, Lansbury R, and Bamber G (2016) Conclusions: Beyond Varieties of Capitalism, towards convergence and internationalisation? International and Comparative Employment Relations: National Regulation, Global Changes; Sage Publications, London, 341-361. Lansbury R (2015) Trade Unions, Vocational Education and Workplace Training: International Trends E-Journal of International and Comparative Labour Studies, 4 (2), 1-25. Wright C, Brown W, and Lansbury R (2014) The Institutional Influence of Trade Unions during Periods of Economic Transition: Lessons from Australia and Britain Research on the Impact of Global Economic Integration and Information Networking on Sustainable Corporate Development; Nanjing University Press, Nanjing, China, 303-313. Lansbury R (2014) An elusive quest: Effective communications and employee engagement in Australia; Fair Work Commission, Sydney, 1-11. Wright C, Brown W, and Lansbury R (2013) The Importance of Institutions in explaining the changing role of trade unions in national political economies 10th European Conference of the International Labour and Employment Relations Association. Auer P, Clibborn S, and Lansbury R (2012) Beyond Our Control: Labour Adjustmen?�in Response to the Global Recession by Multinational Auto Companies in Australia Australian Bulletin of Labour, 38 (2), 142-157. Auer P, Clibborn S, and Lansbury R (2012) Beyond our control: Labour adjustment by multinational auto companies in Australia in response to the global recession 16th International Labour and Employment Relations Association World Congress (ILERA 2012); International Labour and Employment Relations Association, Philadephia. Baird M, Cooper R, Ellem B, and Lansbury R (2011) Industrial Relations - SAGE Library in Business and Management; Sage Publications, London, United Kingdom. Wright C, Lansbury R, and Clibborn S (2011) The Disappearing Car Worker in Australia: The Future Viability of the Automotive Industry 25th Conference of the Association of Industrial Relations Academics of Australia and New Zealand AIRAANZ 2011; Auckland University of Technology, New Zealand. Lansbury R, and Wailes N (2011) Employment relations in Australia International and Comparative Employment Relations: Globalisation and Change; Allen and Unwin, Crows Nest, NSW, Australia, 117-137. Wailes N, Bamber G, and Lansbury R (2011) International and comparative employment relations: An introduction International and Comparative Employment Relations: Globalisation and Change; Allen and Unwin, Crows Nest, NSW, Australia, 1-35. Baird M, Lansbury R, Cooper R, and Ellem B (2011) Learning from Down Under? From Work Choices to Fair Work. Clibborn S, and Lansbury R (2010) Headquarters control over subsidiary employment relations: The General Motors Company in Australia 24th Association of Industrial Relations Academics of Australia and New Zealand AIRAANZ Conference 2010; Association of Industrial Relations Academics of Australia and New Zealand (AIRAANZ), Australia. Lansbury R, and Dommerson K (2010) The Global Economic Crisis - Sectoral Coverage. Automotive Industry: Trends and reflections | The Australian Automotive Industry; International Labour Office, Geneva, 70-93. Wailes N, Lansbury R, and Kirsch A (2009) Globalisation and Varieties of Employment Relations: An International Study of the Automotive Assembly Industry Labour and Industry, 20 (1), 89-106. Blanpain R, Lansbury R, Kitay J, Wailes N, and Kirsch A (2008) Globalization and Employment Relations in the Auto Assembly Industry: A Study of Seven Countries (Bulletin of Comparative Labour Relations-64); Wolters Kluwer Law & Business (Kluwer Law International), Alphen aan den Rijin, The Netherlands. Lansbury R, Kirsch A, and Wailes N (2008) Globalisation, Varieties of Capitalism and Employment Relations In The International Automotive Assembly Industry The 22nd Association of Industrial Relations Academics of Australian and New Zealand (AIRAANZ) Conference. Workers, Corporations and Community: Facing Choices for a Sustainable Future,; La Trobe University, Melbourne. Lansbury R, and Wailes N (2008) Workplace Change in Australia: Prospects of Reform under Labor (Cambio en el Lugar de Trabajo en Australia) Relaciones Laborales en el Mundo (Labor Relations in the World); Grijley, Lima Peru, 75-88. Lansbury R, Saulwick J, and Wright C (2008) Globalization and Employment Relations in the Australian Automotive Industry Globalization and Employment Relations in the Auto Assembly Industry: A Study of Seven Countries (Bulletin of Comparative Labour Relations-64); Wolters Kluwer Law & Business (Kluwer Law International), Alphen aan den Rijin, The Netherlands, 13-34. Lansbury R, Wailes N, and Kirsch A (2008) Globalization, Continuity and Change: The Automotive Assembly Industry Globalization and Employment Relations in the Auto Assembly Industry: A Study of Seven Countries (Bulletin of Comparative Labour Relations-64); Wolters Kluwer Law & Business (Kluwer Law International), Alphen aan den Rijin, The Netherlands, 143-152. Wailes N, Kitay J, and Lansbury R (2008) Varieties of Capitalism, Corporate Governance and Employment Relations Under Globalisation Varieties of Capitalism, Corporate Governance and Employees; Melbourne University Press, Melbourne, 19-38. Wailes N, Lansbury R, and Kitay J (2008) Varieties of capitalism and employment relations under globalization: evidence from the auto industry New Directions in the Study of Work and Employment: Revitalizing Industrial Relations as an Academic Enterprise; Edward Elgar Publishing, Cheltenham UK, 173-193. Wailes N, Lansbury R, Kitay J, and Kirsch A (2008) Introductory Chapter: Globalization, Varieties of Capitalism and Employment Relations in the Automotive Assembly Industry Globalization and Employment Relations in the Auto Assembly Industry: A Study of Seven Countries (Bulletin of Comparative Labour Relations-64); Wolters Kluwer Law & Business (Kluwer Law International), Alphen aan den Rijin, The Netherlands, 1-11. Zhao S, Zhang J, Zhao W, Huang W, Wright C, and Lansbury R (2008) The Changing Nature of Employment Relations in the Chinese Automotive Industry Globalization and Employment Relations in the Auto Assembly Industry: A Study of Seven Countries (Bulletin of Comparative Labour Relations-64); Wolters Kluwer Law & Business (Kluwer Law International), Alphen aan den Rijin, The Netherlands, 35-48. Yun H, and Lansbury R (2008) Social dialogue and skills development: Tripartite approaches to training in Singapore; International Labour Office, Geneva, 1-45. Lansbury R, and Wailes N (2007) Different Paths to Similar Outcomes: Industrial Relations Reform in Australia and New Zealand Perspectives on Work, 11 (Summer 2007) (1), 29-34.
Cooper R, and Lansbury R (2007) Recent developments in union recognition in Australia 59th Annual Meeting of the Labour and Employment Relations Association LERA 2007; Labour and Employment Relations Association, United States. Hall R, and Lansbury R (2006) Skills in Australia: Towards Workforce Development and Sustainable Skill Ecosystems Journal of Industrial Relations, 48 (5), 575-592. Todd P, Lansbury R, and Davis E (2006) Industrial Relations in Malaysia: Some Proposals for Reform Philippine Journal of Labor and Industrial Relations, 26 (1&2), 154-170. Bamber G, Lansbury R, Wright C, and Baird M (2006) Work Systems and Employment Relations in the Australian Automotive Manufacturing Industry 58th Annual Meting of the Labor and Employment Relations Association; 58th Annual Meeting of the Labor and Employment Relations Association, Boston, Massachusetts. Lansbury R, Kitay J, and Wailes N (2006) The impact of globalisation on social dialogue: a comparative analysis of changes in employment relations in the automobile and banking sectors in Australia and Korea Social Actors, Work Organization and New Technologies in the 21st Century. IIRA 14th World Congress; International Industrial Relations Association (IIRA), N/A. Wailes N, Kitay J, and Lansbury R (2006) Varieties of Capitalism, Corporate Governance and Employment Relations under Globalisation Workshop on Corporate Governance and the Management of Labour; University of Melbourne, Australia. Bamber G, Lansbury R, and Wailes N (2006) How does globalisation influence national patterns of employment relations? Alternative conceptual perspectives Economy, Entrepreneurship, Science and Society in the XXI Century; Universidad de Alcalá, Alcalá, 479-495. Kitay J, and Lansbury R (2006) Diversity and Change in Work and Employment Relations Rethinking Work, Time, Space and Discourse; Cambridge University Press, Port Melbourne, Australia, 79-101. Lansbury R, Kitay J, and Wailes N (2006) Globalization and Working Life: A comparitive Ananlysis of the Automobile and Banking Sectors in Australia and Korea Institutions, production, and working life; Oxford University Press, Oxford, 83-103. Ellem B, Baird M, Cooper R, and Lansbury R (2005) "WorkChoices": Myth-making at Work Journal of Australian Political Economy, 56, 13-31. Lansbury R, and Wailes N (2005) Current trends in Korean industrial relations: Towards social partnership Pacific Economic Papers, 348, 3.1-3.18. Hearn M, and Lansbury R (2005) Reworking citizenship: Renewing workplace rights and social citizenship in Australia 19th Conference of the Association of Industrial Relations Academics of Australia and New Zealand AIRAANZ 2005; Association of Industrial Relations Academics of Australia and New Zealand (AIRAANZ), Australia. Lansbury R, and Wailes N (2005) Social partnership in Korean industrial relations 19th Conference of the Association of Industrial Relations Academics of Australia and New Zealand AIRAANZ 2005; Association of Industrial Relations Academics of Australia and New Zealand (AIRAANZ), Australia. Lansbury R, Kitay J, and Wailes N (2005) Reconceptualising the Impact of Globalization on Employment Relations: A Comparative Study of Auto and Banking Industries in Australia and Korea Industrial Relations Research Association (IRRA) 57th Annual Meeting 2005; Labor and Employment Relations Association (LERA formerly IRRA), Online. Lansbury R, Wright C, and Baird M (2005) Decentralised bargaining in the Australian automotive assembly industry 19th Conference of the Association of Industrial Relations Academics of Australia and New Zealand AIRAANZ 2005; Association of Industrial Relations Academics of Australia and New Zealand (AIRAANZ), Australia. Zhao S, Zhang J, Lansbury R, and Wright C (2005) Globalisation and its Impact on Employment Relations in the Chinese Automotive Industry Australia and New Zealand International Business Academy Conference ANZIBA 2005; Monash University, Melbourne, Australia. Bamber G, Lansbury R, and Wailes N (2004) Globalisation And Changing Patterns Of Employment Relations: International And Comparative Frameworks Quarterly Journal of Labor Policy, 4 (2), 45-68. Lansbury R (2004) Kingsley Laffer Memorial Lecture - Work, People And Globalisation: Towards A New Social Contract For Australia' Journal of Industrial Relations, 46 (1), 102-115. Lansbury R, and Baird M (2004) Broadening The Horizons Of Hrm: Lessons For Australia From The Us Experience Asia Pacific Journal of Human Resources, 42 (2), 1-9. Lansbury R, and Baird M (2004) Editorial: Researching Human Resource Management and Employment Relations in a Global Context: Choosing Appropriate Methodologies International Journal of Human Resource Management, 15 (3), 429-432. Lansbury R, and Wailes N (2004) Current Trends In Korean Industrial Relations: An External Perspective Korean Journal of Industrial Relations, 14 (2), 1-22. Lansbury R, Lee K, and Woo S (2004) Technology, Human Resources And International Competitiveness In The Korean Auto Industry: The Case Of Kia Motors International Journal of Technology and Globalisation, 1 (1), 119-129. Bamber G, Lansbury R, and Wailes N (2004) International and Comparative Employment Relations: Globalisation and the Developed Market Economies; Allen and Unwin, London. Bamber G, Lansbury R, and Wailes N (2004) How Does Globalisation Influence National Patterns Of Industrial Relations? Alternative Conceptual Perspectives SAM/IFSAM VIIth World Congress "Management In A World Of Diversity And Change" (SAM/IFSAM 2004); Goteborg University. Lansbury R, Wailes N, and Kitay J (2004) The Impact Of Globalization On Industrial Relations: A Conceptual Framework 7th IIRA European Regional Congress - The Future of Work in Europe; Peeters Publishers. Lansbury R, Wright C, and Baird M (2004) The Changing nature of Employment relations in the Automotive Assembly Sector in Australia: Decentralised Bargaining in a Globalising Industry International Industrial Relations Association, Asian Regional Congress; International Industrial Relations Association, Seoul, South Korea. Baird M, and Lansbury R (2004) The Changing Structure Of Collective Bargaining In Australia The new structure of labor relations: Tripartism and decentralization; Cornell University Press, Ithaca, New York, 166-191. Bamber G, Lansbury R, and Wailes N (2004) Conclusions International and Comparative Employment Relations: Globalisation and the Developed Market Economies; Allen and Unwin, London, 329-356. Bamber G, Lansbury R, and Wailes N (2004) Introduction International and Comparative Employment Relations: Globalisation and the Developed Market Economies; Allen and Unwin, London, 1-35. Lansbury R (2004) Employment Law In The Context Of The Changing Pattern Of Employment Relations In Australia Labour Relations in the Asia-Pacific Countries; Wolters Kluwer Law & Business (Kluwer Law International), The Hague, London and New York, 1-14. Lansbury R, and Wailes N (2004) Employment Relations In Australia International and Comparative Employment Relations 4th Ed; Sage Publications, Sydney and London, 119-145. Lansbury R (2003) Afterword: A review and assessment Asia Pacific Journal of Human Resources, 11, 190-194. Lansbury R, Kitay J, and Wailes N (2003) The impact of globalisation on employment relations: Some research propositions Asia Pacific Journal of Human Resources, 41 (1), 62-74. Lansbury R, Purcell W, Suh C, and Kwon S (2003) The global strategies and employment relations practices of the Hyundai Motor company in Korea and India Economic and Labour Relations Review, 14 (1), 8-20. Lansbury R, Kwon S, Purcell W, and Suh C (2003) Korean employment relations practices and global manufacturing strategies: the Hyundai Motor Compay in Canada and India AIR AANZ Conference 2003: Reflection and new Directions; AirAanz, WEB. Cooper R, Westcott M, and Lansbury R (2003) Labor revitalization? The case of Australia Labor revitalization : global perspectives and new initiatives; JAI Press, The Netherlands, 183-205. Lansbury R, and Michelson G (2003) Industrial Relations in Australia Understanding Work and Employment: Industrial Relations in Transition; Oxford University Press, Oxford, 227-241. Lansbury R, and Wailes N (2003) The meaning of industrial democracy in an era of neo-liberalism Partnership At Work: The Challenge Of Employee Democracy; Pluto Press, Australia, 37-46. Autonomous Mining Systems: Implications for Education and Skills Development of the Future Mining Workforce in Australia; University of Sydney Business School’s Industry Partnership Grant. Russell Lansbury AM warns that the closure of Holden and the downfall of the automotive industry may be greater than many anticipated. 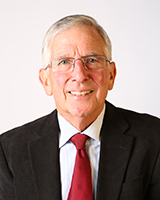 Emeritus Professor Russell Lansbury was interviewed on Radio National Drive about the future of the Australian car industry. Enticing global parent companies to keep making cars in Australia may simply delay the inevitable. The Australian Financial Review has published an op-ed by Russell Lansbury, an Emeritus Professor at the University of Sydney Business School, on the Accord on Prices and Incomes of 1983.